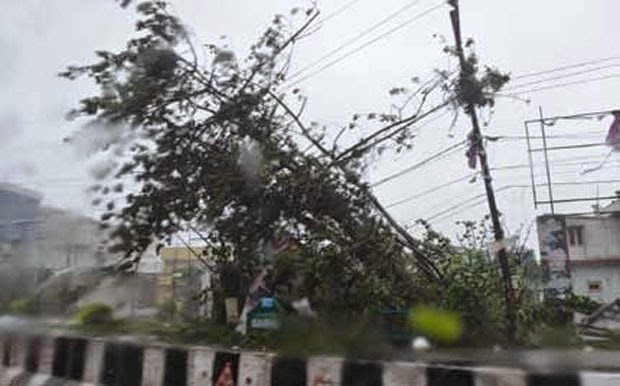 In the 'HUDHUD Cyclone' affected districts of Andhra Pradesh namely Visakapatnam, Vizianagann and Srikakulam, Government owned Telecom giant BSNL has announced Free talk value of Rs. 50/- to enable its customers to make Local & STD calls to any network. In addition, reduced tariff of 5 Paise per minute to BSNL nework and 25 Paise per minute to other networks for a period of 30 days has been announced. These customers will also be able to send Free SMS upto 50 count. BSNL mobile customers in these districts need not bother for expiry of their tariff validity as the same has been extended by 30 days. Director, BSNL Board Shri Anupam Shrivastava said, "This gesture of BSNL will really help people in the area, badly affected due to the HIJDHUD Cyclone. Our teams were able to restore communication imost of the area by using DG sets for power. We are committed for the social cause at larse"
In a similar situation in Srinagar, BSNL helped the flood affected customers by offering Free Calls, Free SMS. Dear readers, once again our national telecom backbone BSNL has extended its helping hands in such a situation where all other private telecom operators failed to restore their service.